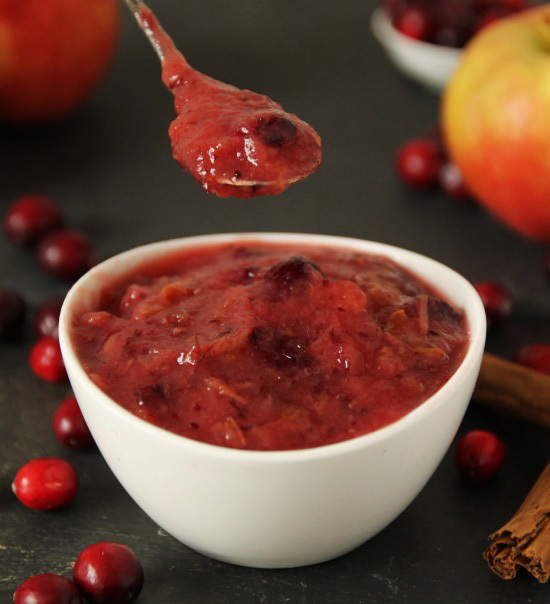 Home » Recipes » Sauces » Cranberry Applesauce – Even He Can Do It! I’m so excited to bring you the first of (hopefully) many Even He Can Do It! posts! Two weeks ago, I came home from a long day at work to find Mr. Texanerin making my favorite snack, raspberry applesauce, which I had run out of and hadn’t had time to make. All he seems to do in the kitchen (other than clean up my mess) is make toast, boil spaghetti and potatoes, and fry meat. Oh, and his vegetables… So I was shocked to find him making something like applesauce. I can’t describe how happy it made me and I asked him why he couldn’t do stuff like that more often. Turns out that recipes that take a long time to prepare, produce a ton of dishes, call for many different ingredients which he can’t locate, or involve difficult steps are not attractive for him. We then got the idea of him making a super easy and quick recipe every now and then and posting it here for other husbands, boyfriends or really anyone out there who aren’t so talented in the kitchen. I’ll be helping him with the pictures. Hi everybody. My name is Alex and I’ll be your host today. ;) Please excuse if the things I post are a little rough around the edges. 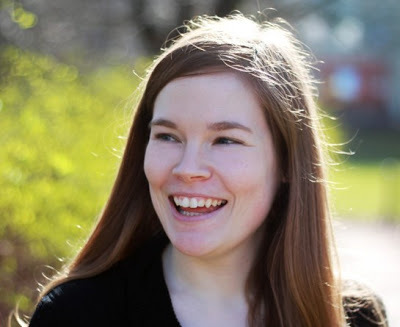 I am completely new to the world of blogging and English isn’t my first language. I am not a foodie. I like eating a lot, but making the food – not so much. Before I met Erin, I’d occasionally make stuff to eat for myself, but calling it cooking probably wouldn’t be justified. More like boiling some potatoes, steaming some vegetables and frying some meat. To add taste, I’d just throw some spices on them. More often than not, though, a quick salad and a few slices of bread with lunchmeat, cheese or sweet spreads would do the trick for me. Now with Erin, I get away with minor support roles in the food making process. Stuff like cutting the meat or peeling vegetables. 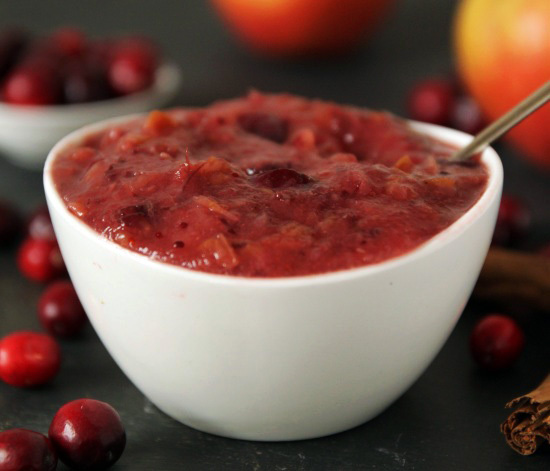 So I couldn’t think of anything better to start food blogging with than this really simple cranberry applesauce. Just core a bunch of apples, dump them in a big pot, and add the cranberries and some apple juice and lemon juice. Cook for half an hour, puree it if you don’t like chunks, and you are done. No risk of overcooking. No risk of burning. Very few dirty dishes involved. Guaranteed happy wife. Perfect! Have a great Thanksgiving and let me know how you like the recipe! 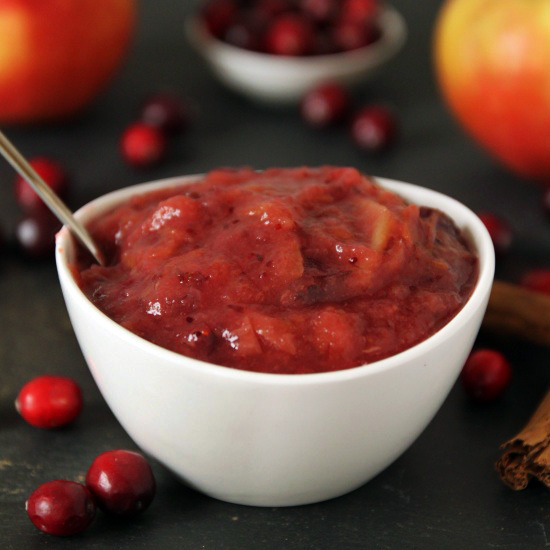 Cranberry Applesauce - Even He Can Do It! Core each apple (do not peel!) and cut into about 6 - 8 pieces. Put the apples, cranberries, apple juice, lemon juice and cinnamon sticks or cinnamon into a large pot. Bring to a boil and continue to simmer, partially covered, for about 30 minutes. Remove from the heat and let cool for about 20 minutes. Remove the cinnamon sticks and then use an immersion blender to puree it if you want it smooth. You could use a potato masher if you want it chunky. Taste the applesauce and if it's not sweet enough, add some maple syrup, a tablespoon at a time. Cool and store in the fridge for up to one week. 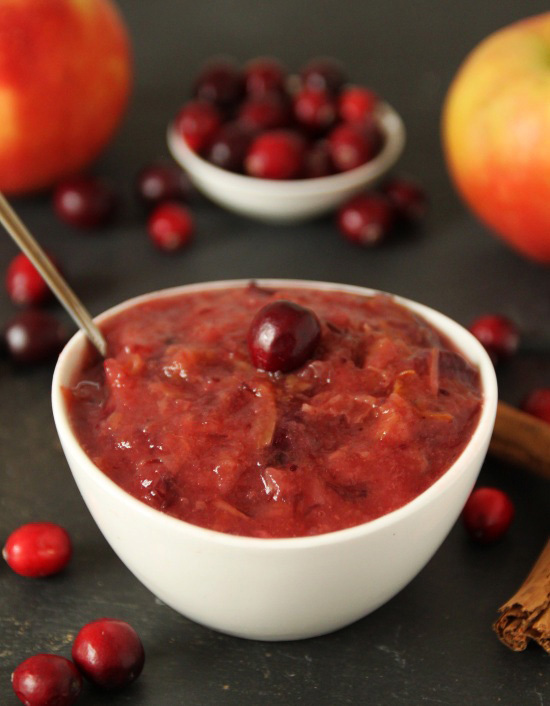 55 comments on “Cranberry Applesauce – Even He Can Do It!” — Add one! I'm a little late here but welcome Alex! How nice that you're getting involved:) Erin's recipes are very much appreciated in this family and now we're excited to try yours too! Initially I made this so that my 9 month old could eat it too. Therefore I had to peel the apples and I thought that because I used honeycrisp apples that it would be sweet enough that I wouldn't need the maple syrup but no. I added very little and its perfect but she'll just have to stick with her apple/pear mixture for now and the rest of us will enjoy it. Thank you and we look forward to seeing what else you create! And I'm late with my reply! Sorry… we just got back from vacation. Thank you for the welcome and I'm happy that you appreciate Erin's recipes. I do, too. ;) I am excited to hear that your family liked the applesauce. Thank you for letting me know! I've been away for a while and didn't see this post. It's great that you are getting involved, Alex, and you may even inspire my husband. He enjoys making things that are simple. Nice idea you guys! What a fun idea for a series! My husband can follow a recipe like no bodies business (he is good with directions and is kind of a perfectionist), but he hardly ever gets in the kitchen. Maybe I will have to tempt him with a feature on my site! The applesauce is a great color, sounds wonderful! O.K. I went to the contact section and clicked on the e-mail envelope which led me to sign up for a 'feed' – that's not right, is it? I think I need further instructions ;-]. Boo… Alex is lazy! The contact page is correct, but it's written out like this: texanerinbaking at gmail dot com (to prevent spam). Thanks Rose Marie! I appreciate it. No, but it is available upon request. I'd be happy to e-mail it to you both if you'd be interested. That's so nice of you, we'd love that! Could you please send it to Erin (see "contact" in the menu at the top of the page). Thank you! I'd be interested, too! :) So happy that you liked the applesauce and thank you for taking the time to leave feedback! This apple sauce is excellent! A perfect topping for my homemade granola and yogurt!! Thanks! Glad you like it! Is that homemade granola recipe of yours available online? Haha love this! I need to get my husband in the kitchen more…he definitely needs to learn to cook more! Oh wow, I am jealous….in a good way. I only wish my husband would cook stuff for me. Maybe on another life :-) I like anything simple and this one for sure is. I could eat this by the spoonful, with yogurt, ice cream you name it. So refreshing….I need to make some. I love this new series! So much fun! My husband is the exact same way. I will have to see if I can get him to do some stuff like this :) It looks perfect! I didnt know thats why you are living outside of the US. So cool (is he German?) :) My husband and I are both American, but he got a job in New Zealand, so thats why we spent some time over there. Such an awesome opportunity! We did get to see a little bit of the South Island of NZ. We went to Queenstown in April, so it was really beautiful with the fall colors. Very stunning. I wish we got to see more of the south island but thats the only place we went. I guess we need to go back ;) We also got to take a quick trip over to Sydney before moving back to the States. That was beautiful too. I really hope you get to visit New Zealand. It is a must see place!!! Cant wait to see what else you make Alex! Love this series idea and I love the idea of cranberry applesauce. Perfectly simple and so pretty. I am not the biggest applesauce fan, but this version is really good. The cranberries add that little bit of extra taste! And as I said (between the lines): foolproof :) You probably don't even have to stir. This will be such a fun feature! Can't wait to see what else comes next! 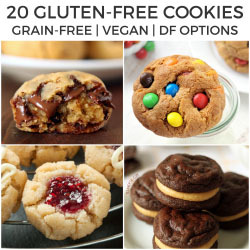 Alex @ Texanerin Baking replies to Loretta E.
I think I will try to bake something next time. Maybe with peanut butter? What do you think? I'll subscribe Tomasz to this seri :) And congrats for Mr. Texanerin! Thanks Marta, but oh no! I hope he doesn't hate me for it. Can't wait to meet up again! It was fun having you over a couple weeks back. Thank you! It was SO dark and dreary that day that I was shocked that I got some postable pictures. I want to use that slate background for everything now! such a great idea! i'm looking forward to more installments. it's fun to see a collaboration on your site; very unique! Thanks Kale, this is fun! I look forward to making more yummy stuff for you ladies! Awwww, that's really awesome! Neat idea! This entire post is awesome though. Starting with the explanation of why Mr. Texanerin doesn't cook more often to his "joy" of having to contribute to Thanksgiving and how Erin (and cranberries) saved the day. Love it! Nice to meet you, Alex! I love your recipe! Love it, what a great series! what fun! love to see what Mr. Texanerin will be cooking up next! Looks like your husband did a wonderful job! I love when my husband is in the kitchen with me, makes it more fun! Great idea for a series! I am the same way, too! Unfortunately, that happens way to little :( Let's get our guys into the kitchen more often! Thank you! I'm so proud of him. :) And hope you like the sauce! Woohoo! Hope you all like it. The cranberry applesauce looks delicious, and I love the series idea! Thanks but he had a part in it too. :) Wasn't all my idea! Such a great idea for a series, looking forward to seeing more guest posts from Mr Texanerin! Me too as this also means that Mr. T will be making me more food soon. ;) And thanks!